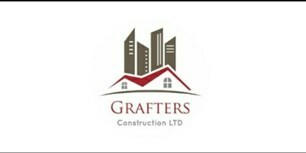 Grafters Construction - Builder, Painter/Decorator based in London, Greater London. My company is an English based family run business that offers 35yrs' experience in high quality painting/decorating & some aspects of construction. We find it very important to build good working rapport with clients. Reliable, very friendly, punctual, organised, & very motivated. We give 100% effort in all our jobs big/small, we keep our clients fully involved in the process! As we understand how important it is to have our clients at ease during the process! Our company and tradesman have experience in a range of fields to put you at ease and show we are competent, as many people don't have necessary experience for the job in hand. This, I feel, should put our clients at ease knowing you’re in good hands! !